I've been following the Selfridges TV series and, although it's great, there's something that really bugs me about it. It feels like, as marketers, we spend a lot of time re-learning how to do marketing well? In case you've not seen it, the simplistic take on what Harry Gordon Selfridge believed is to… build your business (and so your promotion of it) around the customer. Over 100 years ago, retailers such as Harry Gordon Selfridge and John Wanamaker - credited with being the inventor of advertising and a marketing genius, alongside pioneering advertising men such as Claude C Hopkins who wrote Scientific Advertising in 1923 - seem to have had marketing licked. Browse popular marketing sites today though, and you'll see these lessons being shared as original thinking. As operational thinking throttles brands to death (look at faded UK brands like Republic, GAME, Blockbuster, HMV, Jessops and JJB - businesses who made the High St only 10 years ago) I can only conclude that we're not learning? These brands focus on their undifferentiated or average products and the media and channels to promote them. New tools simply become advertising 2.0 instead of new opportunity to engage a customer. 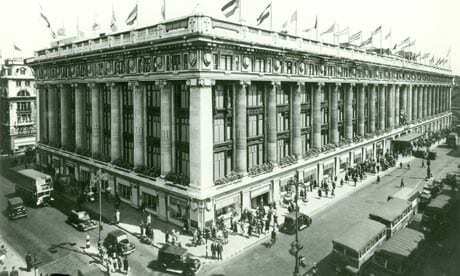 Does the spirit of Mr Selfridge hold the secret? 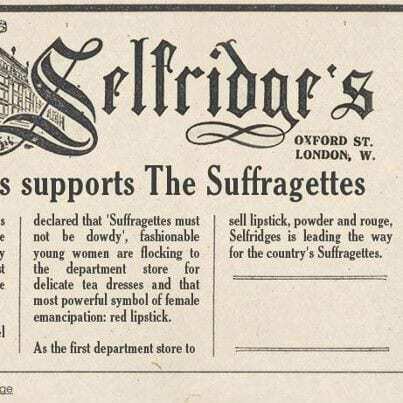 Think of the power we have to do this today, and what someone like Selfridge would have done with it. So what are you doing? Focussing on the customer, who'd have thought it.